Apart from Grid user certificates, there are also Grid host certificates. Host certificates are used to establish trust between hosts on the grid. If you use our user interfaces or Grid compute clusters, you don’t have to worry about these; we’ll make sure they contain the right host certificates and their dependencies. 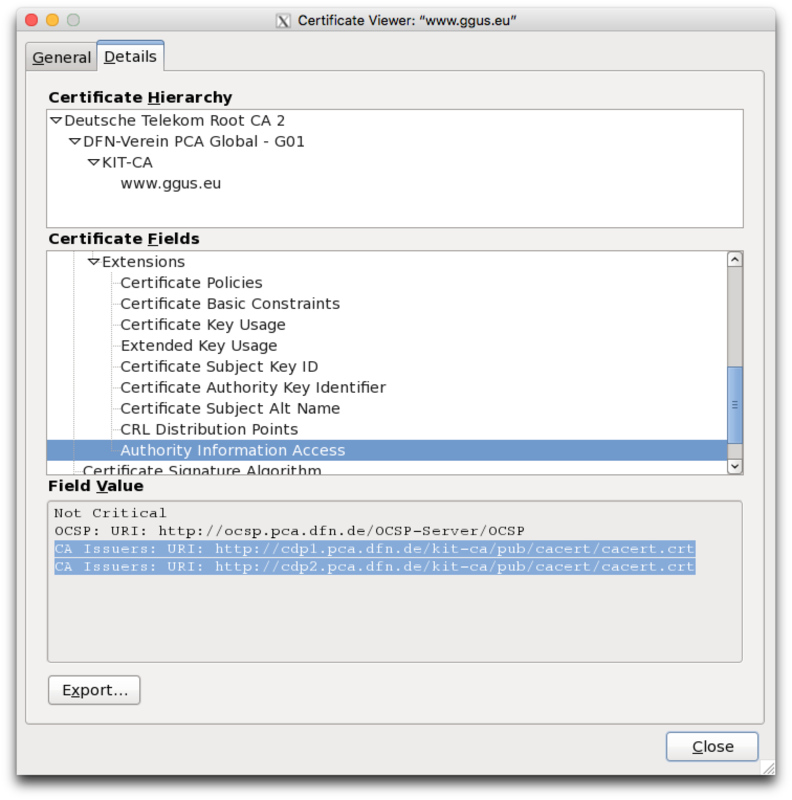 If you configure your own user interface, or if you intend to run GridFTP or Webdav clients on your own machines, you will need to install the Grid Certificate Authrority (CA) root certificates. Your client software needs CA root certificates to know whether to trust the host certificate of the server they’re talking to. Many clients allow you to bypass verification of host certificates. This may seem like an easy solution, but it bypasses a security layer. We recommend that you don’t bypass host certificate checking but install the Grid CA root certificates. Certificate Revocation Lists or CRLs declare which host certificates have been revoked, for instance because they have been compromised. A utility called fetch-crl downloads these CRLs. It’s good practice to set up fetch-crl as a cron job. You can find more information about this at https://wiki.nikhef.nl/grid/FetchCRL3. Not every browser trusts Grid host certificates. You might see the error SEC_ERROR_UNKNOWN_ISSUER in Firefox. This means, that Firefox does not have the root CA certificate that was used to sign a specific host certificate. The solution is, to import the root CA certificate into the browser. But which one? Here are some tips to help you. You can copy this link and paste it in the URL field to import the root certificate into Firefox. After that, Firefox will trust all sites with host certificates signed by this root certificate.